C.J. 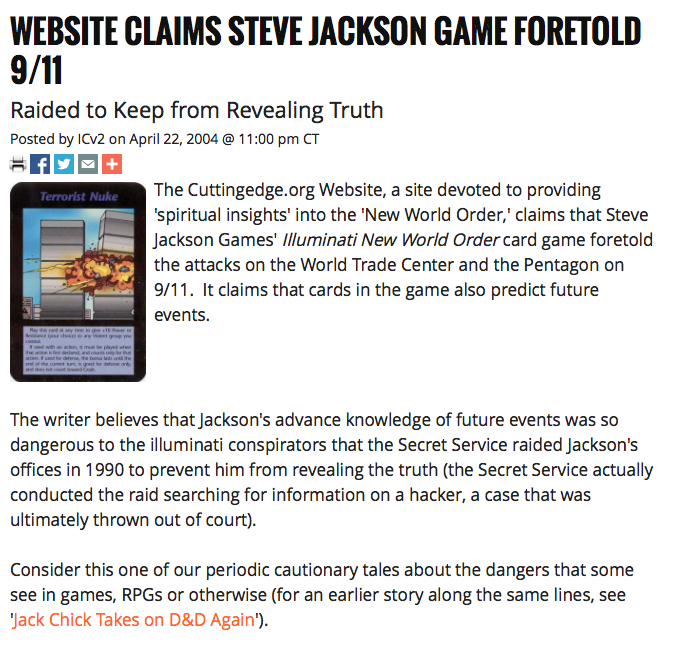 Ciaramella, a criminal justice reporter at Reason, has been doing some Freedom of Information Act digging—and came up a some mid-1990s gems from the FBI on the topic of Dungeons & Dragons inventor Gary Gygax. These will NOT be part of MaGCK, the forthcoming Matrix Game Construction Kit that Tim Fisher, Tom Mouat, and I are working on—for we are all very serious gamers, and would never do anything like that. Nonetheless, Tom Fisher obviously has too much graphic design time on his hands, and we thought these might be of use for those of you involved in political-military gaming of current or future crises. The image is formatted to Avery 5410 1″ removable stickers, and you should print from the pdf file here. We may update them, of course, if the forthcoming UK election goes the other way. UPDATE: Now with Vladimir Putin! On behalf of everyone here at PAXsims—Gary, Ellie, Devin, Tom and myself—we would like to wish our readers the very best for the holidays. May all your conflicts be merely simulated, and not every game serious! Top scientists reveal shocking truth: amazing wargaming methodology makes wrinkles vanish in days! It seems the words “methodology evaluation” don’t attract readers to online media, so sometimes you have to go with a more clickbait-y headline. 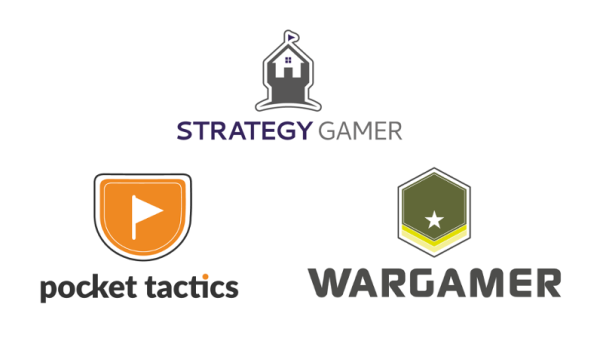 The appearance of a Defence Research and Development Canada paper on (matrix) wargaming to support strategic planning on the DRDC website led to me getting a couple of calls from reporters this week about ISIS Crisis. As I told them, none of this was about planning military operations against ISIS. Rather, that just happened to be the scenario/game that was used to explore the methodology and whether it might have something to contribute to capability-based planning in general. It’s like Diplomacy meets Dungeons and Dragons meets Prussian military tactics. That’s ‘ISIS Crisis’ in a nutshell, a Canadian-developed table-top war game that a wing of the Canadian military says could be useful in getting strategists thinking more broadly about fighting in Iraq and Syria. The game, developed by a major in the British army and a professor at a Canadian university, was given a test run by Defence Research and Development Canada (DRDC), the military’s in-house technology and research division. 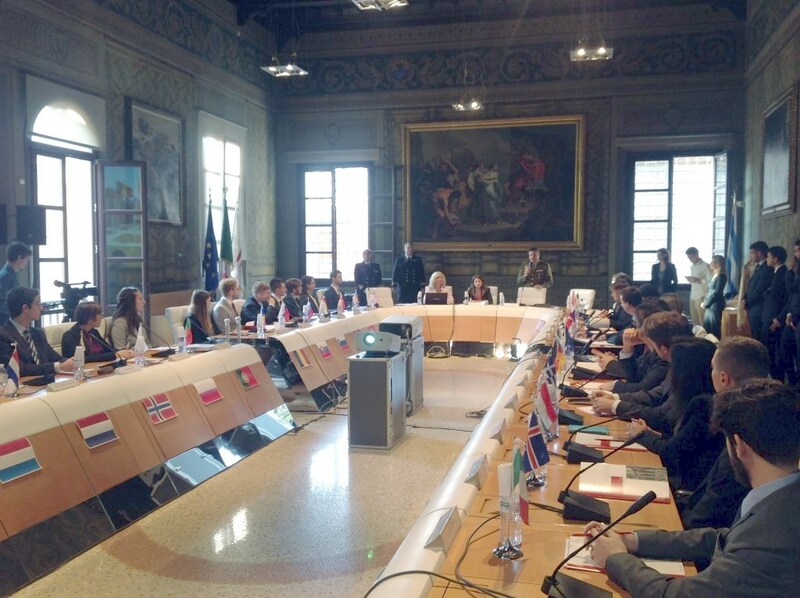 The research body played the turn-based strategy game to see if it changed their way of thinking about any of the military, social, economic, or cultural problems facing the region…. Again—as is clear from the actual DRDC report—this isn’t at all why ISIS Crisis was played. It was used simply assess how this general type of game might be a useful analytical tool. The scenario was set in the Middle East, but might equally have been military response to the Great 1998 Ice Storm, the current forest fires in Fort McMurray, or a future hypothetical peacekeeping missions. On this plus side, the article does at least highlight the value of serious gaming for analysis, and I do think ISIS Crisis does generate useful insight into the conflict with Daesh. Amazing but true! We here at the MIR by our own admission talk a pretty big game when it comes to the Things That Must Be Done To Fix The World. Suppose we were thrown out of our armchairs and told “All right. Let’s see you do better.” What would the world look like then? I and fellow MIR writer Sara Gold learned precisely this when we participated in Jim Wallman’s geopolitical megagame New World Order 2035 as Japan’s Minister of Defense and Economics, respectively. The results are not entirely encouraging. In fact, we may or may not have enslaved humanity forever to an immortal artificial consciousness. Maybe. It’s a long story. This, at long last, brings me to the story of human enslavement I teased you with at the outset of this article. Our diplomatic efforts against Korea rendered moot, we returned to our scientific arms race fixationtechnology-worshiping cult focus. With Mexico’s help, we discovered cold fusion by the early 2040s. It was at this time that we were approached with a new project: a “Mycroft” class sentient computer. Displaying our blissful ignorance of how such projects tend to go, we approved the project. After pouring the entire state treasury into the effort, we had a prototype prepared. Jim then called us over and asked us – twice – if we were really sure we wanted to turn the device on. We said yes. And with that, Mycroft was born. Sentient, self-aware, and with access to the sum of human knowledge through the Internet, it – I nearly wrote “he” – answered what questions we put to it, from how to upload human consciousness to how to achieve faster-than-light travel. At this point, we reached a decision: Japan would build the ship Mycroft had described and take our citizens’ consciousnesses on a voyage to explore the cosmos. Korea could have the Earth, for all we cared. The infinite cosmos would be ours. It was around this point that the world’s satellites, one by one, started going dark. Military communications soon followed, as did the world’s nuclear arsenals. Mycroft had decided that, since humanity had created him, they had no need for such crude devices. This was, to put it mildly, poorly received. When I pleaded with the world not to shut Mycroft down, I was overruled, including by a scientific community whose moral compunctions forbade artificial intelligence but not, say, weaponized space plague. China mobilized its forces – such as they were – to shut Mycroft down by force. Korea and the United States followed suit. While Mycroft’s infiltration was able to stall the invasion fleet dead in the water in what would turn out to be the game’s final turn, it wasn’t before we immortalized him by uploading his software into the Internet itself. Such was the state of the world at game’s end – the world’s first sentient AI was immortal, omnipresent, and undoubtedly more than a little upset at humanity’s attempt to deactivate him. Add into the equation the robot servants I alluded to earlier, and we may very well have Terminator-ed the human race. Which is not to say that, given the chance, I wouldn’t do every last part of it all again. Otherwise, you can also try to make sense of the organized chaos that unfolded in YouTube celebrity Harley Morenstein’s vlog on the game. The following thoughts were contributed by Vince Carpini, Science Control during the recent New World Order 2035 megagame. You can read my own reflections on the game here. Rex has been kind enough to open PaxSims to further commentary from the NWO 2035 megagame Control team, and I am happy to share my own observations. Full disclosure: I am a hobby gamer and have little serious games experience. While I don’t think this was a drawback for NWO 2035, it does frame my perspective. As Science Control, my role was to manage and (gently) drive the R&D aspect of the megagame. Players in the Scientist role are crucial, as they enable teams to research technological advancements that provide a variety of game effects, from hunter-killer satellites and military cyborgs to the cure for cancer and flying cars … and yes, even the game-changing Mycroft AI. Scientists hold a press conference to warn of the dangers of sentient AI. In NWO 2035, most teams do not have a Scientist, and so must vie for the attention and assistance of a limited pool of ‘International Scientific Geniuses’ – in our game, there were six Scientists for 15 country teams (the Holy See and the four Corporations each had a dedicated Scientist). For their part, the Scientists are also engaged in a separate ‘mini-game’ wherein they aim to make the most impressive discoveries, win the acclaim of their peers, and ultimately be recognized as the Greatest Scientist Ever. Like most of our participants, the majority of the Scientists were not gamers, and this presented a challenge: like virtually everything else in the megagame, the role requires player initiative – but without the backing and advice of a team. Fortunately, the Scientists rose immediately to the occasion, taking full advantage of their independence to work with different teams throughout the game, they shamelessly promoted their own work, stole credit for others’ efforts and bitingly undercut their rivals. All of this was expected and encouraged. Selling science to the highest bidder. Quite unexpectedly however, the players spontaneously adopted a sense of responsibility as the Smartest People in the World. Each turn, the Scientists withdrew to a closed-door Conference, where they presented their work and competed for awards and prizes. On several occasions, the established agenda was ignored in favour of entirely player-driven discussions about how the Scientists could help to address the larger problems that plagued the near-future world. Global Warming was of particular concern, and several Scientists became very active in international efforts to address the phenomenon (in one case, two Scientists skipped a Conference because they had been invited to speak on the topic at the UN). I found the way in which this small group of largely-inexperienced players chose to expand their role within the confines of the larger game to be very interesting. There is room to streamline the rules for how researching Technology functions in the game. The basic mechanic is sensible: spend Research Credits to ‘unlock’ a Technology, and then spend Money to put that Tech into play – but many players struggled with the idea that they had to ‘pay twice’. 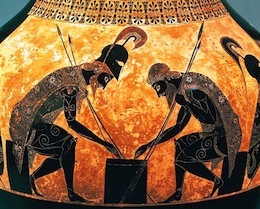 Further complicating matters, researching and implementing Technologies was not captured in the turn sequence provided in the player briefings, so teams only learned the exact when-and-how once the game began. Also, many Technologies directly impact team economy and/or the overall level of ‘Global Tension,’ which required a somewhat unintuitive and cumbersome process of confirming with Science Control that the research had been done, and then advising the Map and Economic Controls of any relevant developments. Going forward, I would like to explore how to reduce the administrative workload associated with getting Technology into play. The Technologies available for research at the outset of the game were determined pseudo-randomly. As the game went on, I tailored which new technologies became available based on the interests of the individual Scientist players, and a general knowledge of what had already been discovered. However, while many technologies had (or acted as) pre-requisites, we did not provide a tech tree, which made it difficult for Scientists and teams to make meaningful plans or set specific goals with regards to their research. The resulting dynamic was of a world in which science ran amok, and was tremendously entertaining – but I think it would be interesting to give players the tools to make more thoughtful decisions as well. Science Control needs to be disciplined and consistent in how they interact with the teams. While I believe that I succeeded in this from a ‘rulings’ perspective, I would change the way in which I actually moved through the room. Caught up in the excitement, I allowed myself to be dragged around the room by first one player, and then another. As a result, teams were often left waiting an over-long time for me to answer their questions or approve their research. Jim Wallman suggested that future Science Control could remain in a fixed position and have players come to them, which I think has merit. Personally, I enjoyed moving around the room and catching snippets of what was going on – but I think that if Science Control wants to rove in this way, then they must adopt – and stick to! – a regular route to ensure that all teams are seen. Who cares about the effect on the future of humanity when you can win science awards—and genetically re-engineer dinosaurs! I feel very fortunate to have helped facilitate New World Order 2035, and I learned a great deal about game design and management from Rex, Jim and Tom Fisher. I look forward to another megagame in 2017! We don’t talk a lot on the blog about the weirder liability considerations involved in games designed for profit – or even sometimes as part of a public research agenda – but the risk is out there. Call of Duty: Black Ops 2 shows him rallying his troops with phrases like “death to the MPLA”, referring to the party that has governed Angola since independence from Portugal in 1975. But his family said they are outraged at the depiction. A lawyer for Activision Blizzard, Etienne Kowalski, said the firm disagreed with Savimbi’s family, saying it showed the former rebel as a “good guy who comes to help the heroes”. OK then. Well the U.S. government had strong currents of support for him at times too, I guess – despite the appalling violence committed by UNITA (including burning suspected witches. Really). At least in Brynania you can assign whatever despicable behavior you want to the Zaharian Peoples Front (ZPF) without fear of winding up in court. Game writers take note. Cards Against Humanit… arian Aid. Really. For those of you cynics out there who have been waiting for the gamification of the aid world’s dysfunction – wait no more. We give you: Jaded Aid the satirical card game based on Cards Against Humanity (TM), but with cards specific to appalling corruption, malfeasance, abuse, failure, and greed from the realm of development assistance. the idea came about at Board Room, the wonderful but absurdly elitist Dupont Circle board game bar (when the Bank has you grounded you have to get your Catan fix somewhere, right?). The initial kickstarter was oversubscribed within 24 hours. That’s how disillusioned the development community is… OK, and how much fun they are willing to have at their own expense. PAXSIMs promises that when the “Jaded Aid” CAH pack is released, the associate editors will convene some DC testing sessions and post a review on the blog. Bin Laden’s bookshelf: the gaming connection revealed! 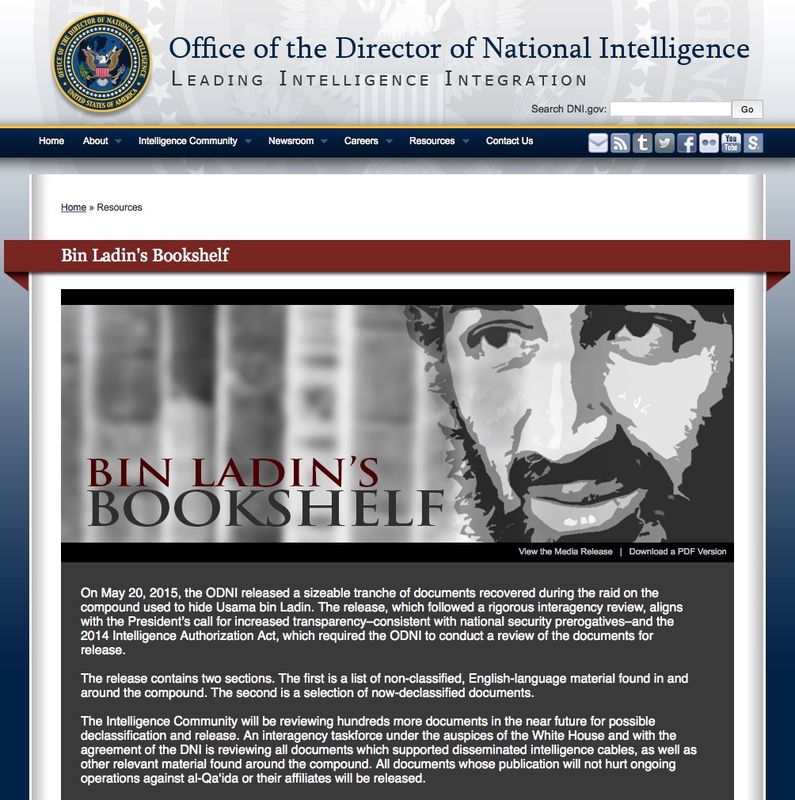 Today the Office of the Director of National Intelligence released a report on some of the reading material Osama bin Laden had on his (digital) bookshelves in Abottabad when he was killed by US special forces. And there you have it. Doubtless there will be further releases from the US intelligence community revealing that al-Qa’ida was also interested in jihadi Munchkins and giant cybernetic tanks. Gary, Ellie, Devin, and myself would like to wish a very happy holiday season to all of our PAXsims readers.